Pancho Villa fought for the freedom of all Mexicans. Pancho Villa on Nicollet fights for the freedom of birthday boys and girls by keeping their whistles wet and their bellies full for free. They’ll even give you and up to six friends a birthday cake to share. 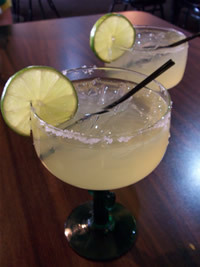 Even if it’s not your birthday, you can enjoy two for one tap beers and margaritas all day every weekday. Come on the weekends to hear live music, and stay through the night for karaoke till ten. 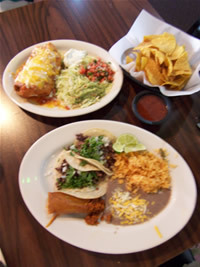 Come in to enjoy the food inside a restaurant reminiscent of adobe huts, if adobe huts had plasma TVs inside. The menu is based off of Mexican and Ecuadorian cuisine boasting spicy seafood dishes, as well as sizzling fajitas, along with a line up of healthy, but not excessively sized meals. Come on down to Pancho Villa to celebrate and promote the freedom he fought and died for, if not for the food.